Thank you to those who entered my first ever Rafflecopter giveaway last week. Two winners have been randomly selected and I have contacted them this morning via email. The winner of the signed paperback is Iri and the ebook is Freddie. Congratulations to both of you, check your emails for more details! For those that missed out, The Lost Sentinel is going on sale for 1 week only as of 4th June 2018. I will be posting more about that next week. In the meantime, have a great weekend everyone! 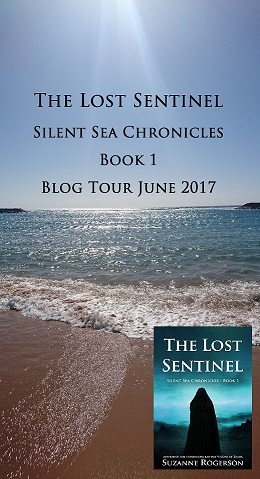 To celebrate the upcoming release of my new book, The Sentinel’s Reign, I wanted to run a giveaway for Book 1 in the Silent Sea Chronicles – The Lost Sentinel. Please enter for the chance to win either a signed paperback or an e-book. There are up to 7 ways to win! Here’s the link to the Rafflecopter giveaway running until 30th May 2018. Please reblog and share this with everyone you know. I will contact the winners by email after 30th May 2018. Good luck!